Amaco F-Series Glazes are fritted and lead-free. These intense, semi-opaque brilliant colors fire with a high gloss and are safe enough to be used on pottery dishes. 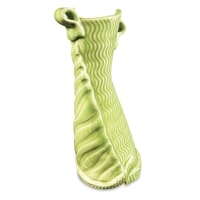 Brushing, dipping, pouring, or spraying are suitable methods for application on mature fired bisque. 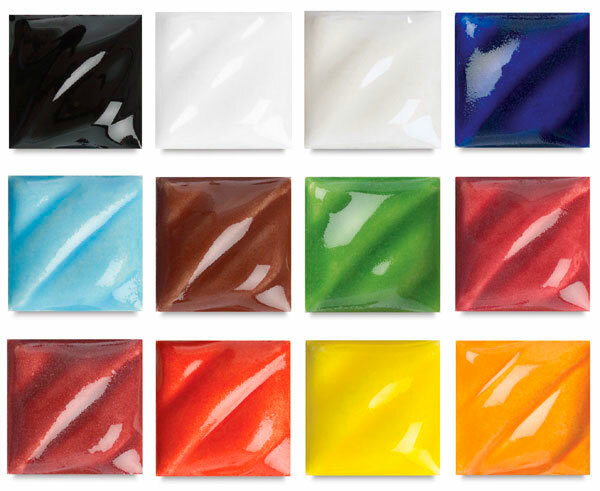 F-Series Glazes come in ready-to-use liquid form. All colors are dinnerware safe with the exception of Christmas Tree Green (F-47). All CL colors are not safe for spray application. Set of 6 — Includes Jet Black, Royal Blue, Turquoise, Red, Lemon Yellow, and Orange. Set of 12 — Includes Jet Black, White, Clear Transparent, Royal Blue, Turquoise, Chocolate, Chrome Green, Rose, Burgundy, Red, Lemon Yellow, and Orange. 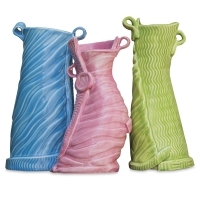 F-10 Lead-Free Glaze — This clear, transparent liquid covering glaze will not discolor the underglaze or cause colors to bleed. It is safe for pottery dishes, as well as other types of pottery. Brush, dip, or pour on mature fired bisque. Not for spray application. Brushing is recommended. Dinnerware safe when fired to recommended firing temperature. Contains no lead or cadmium bearing ingredients. Cone 05.